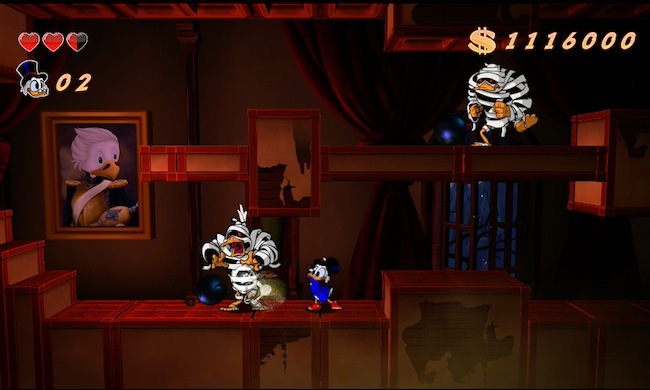 DuckTales: Remastered will release in just a few short weeks, Capcom announced today. The game will release on Aug. 13 for the PlayStation Network, Wii U eShop and PC, and on Xbox Live Arcade on Sept. 11. A retail version of the game – which contains a download code and a DuckTales collector’s pin – will launch on Aug. 20. DuckTales: Remastered, developed by WayForward Technologies and published by Capcom, will release for $14.99 USD (which translates to 1200 Microsoft Points), with the retail version priced at $19.99. As the title implies, the game is a hi-def remake of the 1989 title for the NES and Game Boy, based on the Disney cartoon. Remastered will feature many of the original games’ stages, as well as new areas and tweaked boss battles. The platformer will mix 2D character sprites with 3D stages. Are you excited to play DuckTales: Remastered? Let us know in the comments.